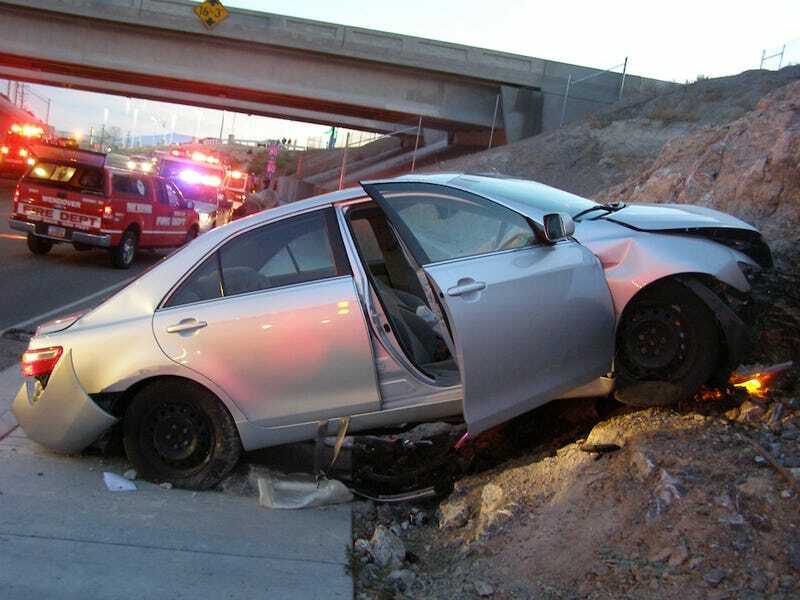 A Utah man and his son's fiancee died earlier this month after his recalled Toyota Camry sped through an intersection into a rock wall. Police say the Camry's gas pedal stuck and, unlike other crashes, there's supporting evidence. The crash on Nov. 5 killed Paul Van Alfen, 66, and his son's fiancee Charlene Lloyd, 38; Van Alfen's wife and son were also injured in the wreck. Unlike similar crashes in Toyotas later blamed on drivers mistaking the accelerator for the brake, police say Van Alfen's Camry left skid marks as it exited Interstate 80 near Wendover, Utah. presumably from holding down the brake pedal. The Utah Highway Patrol said Monday that based on statements from the passengers who survived, the Camry's gas pedal appeared stuck. Van Alfen's Camry had been covered by three recalls relating to sudden acceleration problems, including floor mats and sticking pedals. While investigators believe Van Alfen had brought his Camry in for the repairs, it's not clear what fixes had been performed. Toyota has also said it was upgrading 2008 Camrys to include brake override systems designed to cut engine power if the brake and accelerator are pressed simultaneously; and once again, it's not clear whether that upgrade was performed.